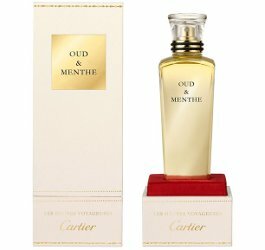 Cartier has launched Oud & Menthe, a new fragrance in their luxury Les Heures Voyageuses oud series. Paying tribute to one of its in-house perfumers, Mathilde Laurent, Cartier's Les Heures Voyageuses collection brings together emotive notes for the senses. A newer creation which celebrates the allure and rarity of the woody ingredient, the Oud & Menthe eau de parfum is invigorated with mint, combining and contrasting two emblematic scents from the Middle East. Cartier Oud & Menthe is available now at harrods in the UK, £317 for 75 ml Eau de Parfum. This is quite literally the weirdest-sounding scent I have ever heard of. Ha! At least it sounds new, I guess…can’t think of another. Robin, there is one of the House of Oud special fragrances that combined Oud and Mint and they work very well together. It creates an interesting contrast. Thanks — should have known there is nothing new under the sun! The only reassuring thing is that Mathilde Laurent is a great perfumer, but I agree. I would never have thought to combine these two. I smelled a lady who told me she was wearing Bond’s Pear Oud. I think mint oud might be nice but oud in general doesn’t interest me beyond a single wearing or two.